Super Sub Hero is a Puzzle platform game with a bit different mechanics. The main character has an ability to turn ice into water and vice versa, which brings you a dozen of mind-bending puzzles. 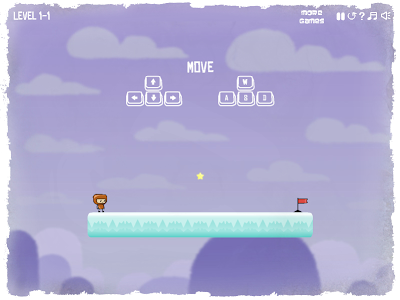 Guide the little Eskimo boy through a series of puzzles on a quest to save his grandpa. Combine your puzzle solving abilities with your skills to help this fellow accomplish his quest. This game is free to play on Starfall. Good luck!